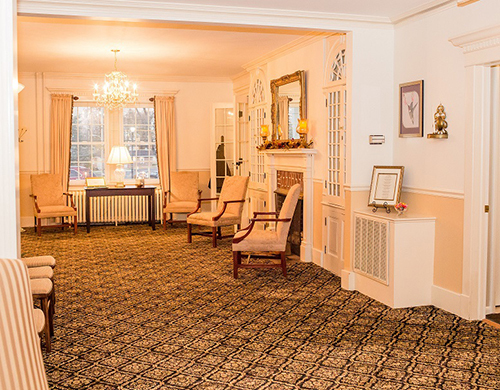 The large visitation area has a home like atmosphere. 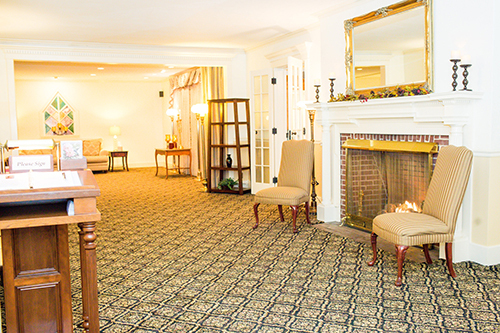 There is plenty of room to accommodate your family, and comfortable seating throughout. 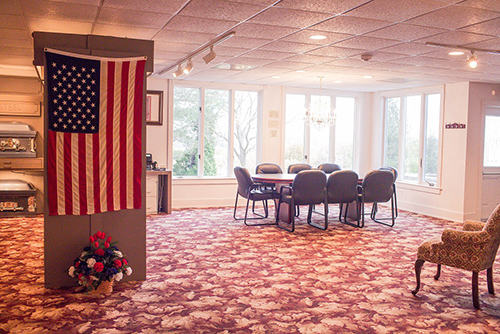 We have tv’s for viewing memorial slide shows and plenty of tables to display your loved one’s memorabilia. 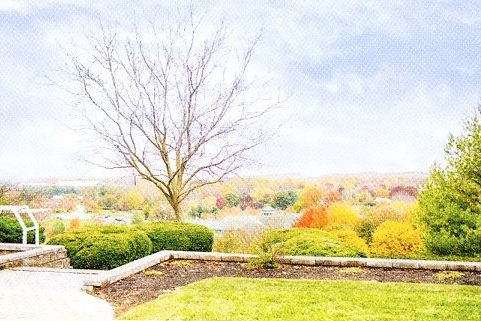 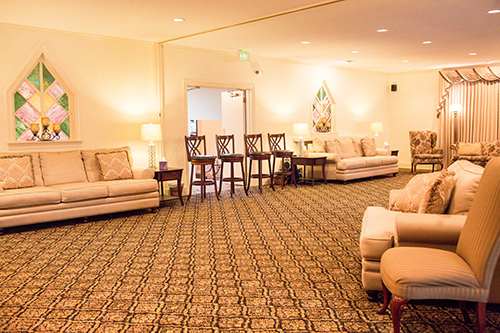 The lounge offers beautiful views, and coffee and tea. 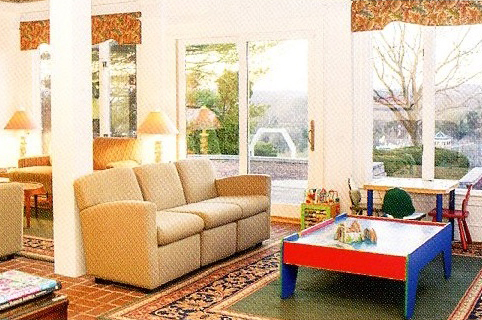 There is a children’s play area with activities, books, and a tv. 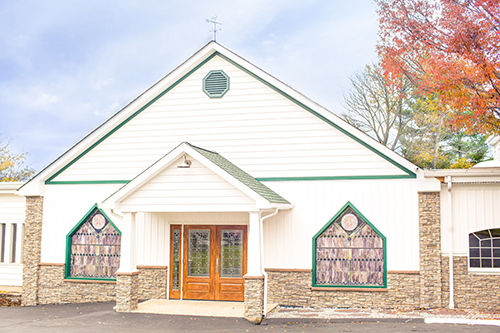 The cathedral chapel accommodates up to 200 people with comfortable seating. 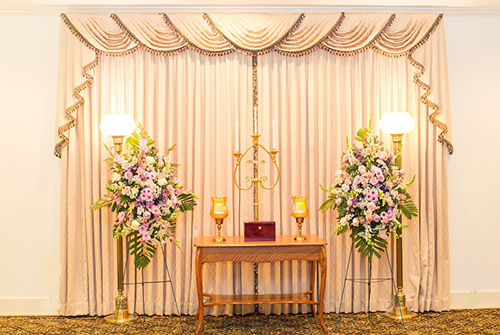 We provide Memorial Services, Celebration of Life Services, and Traditional Funeral Services to all faiths and denominations. 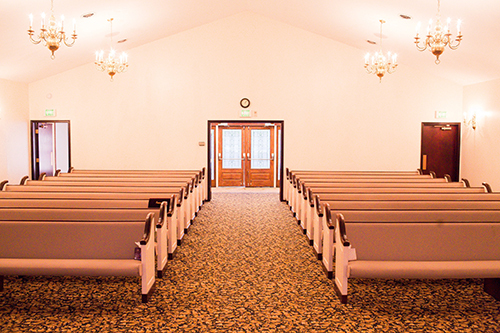 Pre-arrangement family conference- This area is dedicated to making service arrangements. 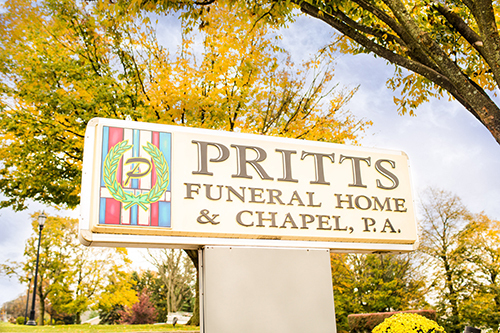 Our staff will discuss your family’s needs and help plan a dignified service. 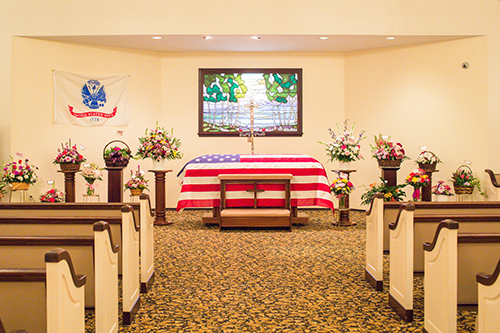 The arrangement center is open to the public during regular funeral home hours and during visitations in the evenings. 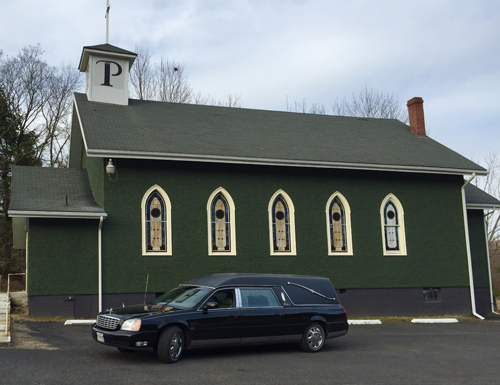 Pritts Funeral Home and Chapel offers a wide variety of funeral merchandise. 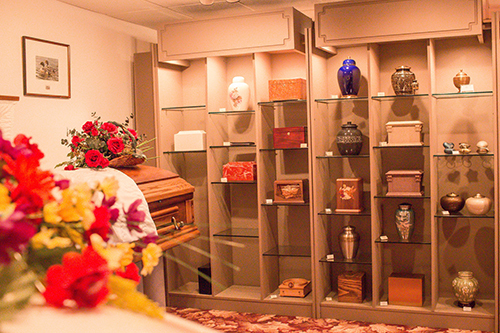 Whether choosing traditional funeral services or cremation services, our arrangement center offers your family several options to best meet your needs. 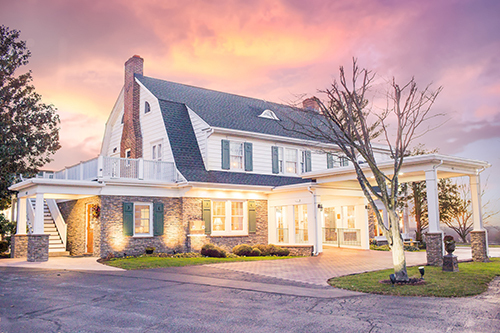 We are conveniently located to several local restaurants, hotels, florists, Carroll Hospital Center, and the Carroll Hospice Dove House. 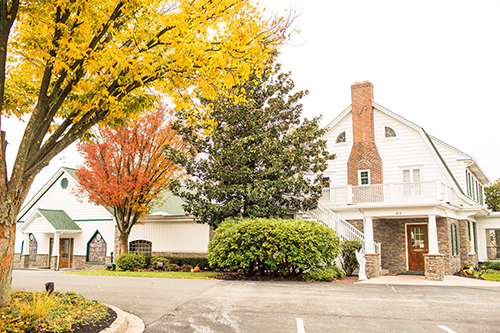 Our staff can assist you with questions that you may have regarding venues for receptions and lodging, and offer suggestions based on the needs of your family. 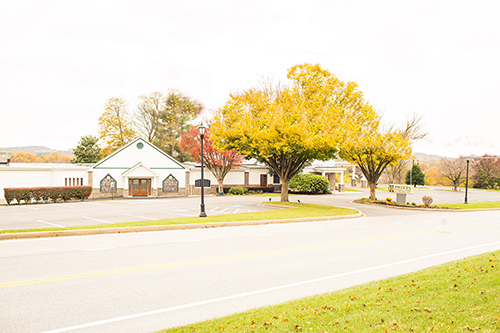 Our facility is capable of accommodating a large number of guests with plenty of parking and overflow parking as needed.